Today, "Hallelujah" is one of the most-performed rock songs in history. It has become a staple of movies and television shows as diverse as Shrek and The West Wing, of tribute videos and telethons. It has been covered by hundreds of artists, including Bob Dylan, U2, Justin Timberlake, and k.d. lang, and it is played every year at countless events-both sacred and secular-around the world. 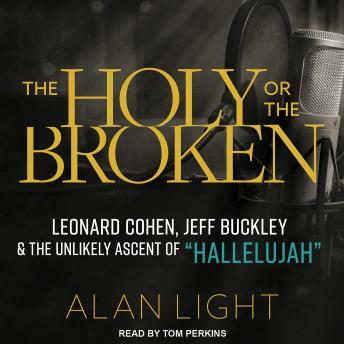 Yet when music legend Leonard Cohen first wrote and recorded "Hallelujah," it was for an album rejected by his longtime record label. Ten years later, charismatic newcomer Jeff Buckley reimagined the song for his much-anticipated debut album, Grace. Three years after that, Buckley would be dead, his album largely unknown, and "Hallelujah" still unreleased as a single. After two such commercially disappointing outings, how did one obscure song become an international anthem for human triumph and tragedy, a song each successive generation seems to feel they have discovered and claimed as uniquely their own?